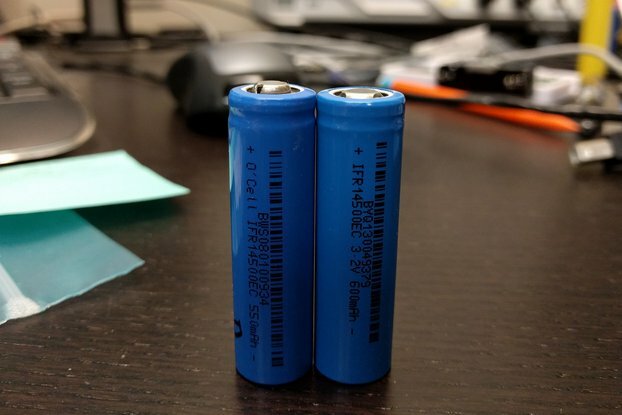 LiFePO4 battery technology--made convenient for makers. 3.2V 550 mAh LiFePO4 battery included! This is an alternate version of my LiFePO4wered/USB modules. 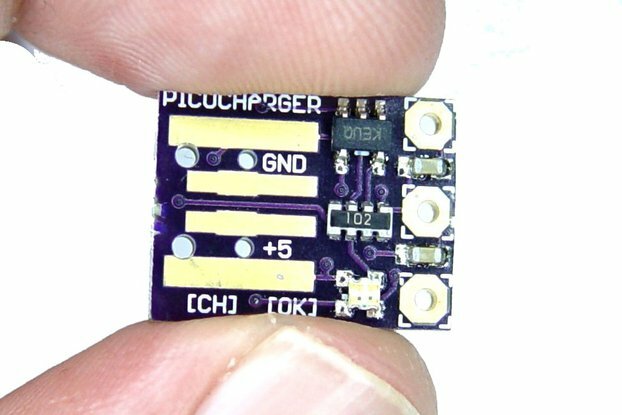 Instead of having a battery holder with a AA size LiFePO4 cell, this version has a tabbed AA 550mAh 3.2V LiFePO4 cell directly soldered to the board. Since this version does not have a battery holder and the battery tabs are soldered to the top of the PCB, there are no power pins available on the bottom of the board, so you have to take the battery power from the JP2 0.1" connector footprint instead. Because it seemed like a good idea. :-) With the number of charge cycles of the LiFePO4 cell numbering in the thousands, the cell really doesn't need to be replaceable. Most LiFePO4wered/USB users also seemed to connect to the JP2 connector instead of using the battery holder pins, so for those folks this version presents no disadvantages while providing a more compact, sleeker looking and 1.5 mm lower module. It still uses the same awesome LiFePO4 technology: 3.2V nominal during most of the discharge cycle, 2.0 - 3.6V voltage range over the complete charge/discharge cycle (allowing it to power 3.3V circuitry without a voltage regulator), high power density, low internal resistance, and high number of recharge cycles, verified to be >=1000 while still retaining 80%+ of the original capacity! LiFePO4wered/USB puts this amazing cell on a convenient module that integrates a USB charger so you can easily make your own projects LiFePO4wered! United States Postal Service: First Class - No insurance, if it's lost, it's YOUR problem! United States Postal Service: Priority Mail, insured - Choose this if you want us to be responsible for it! Excellent. 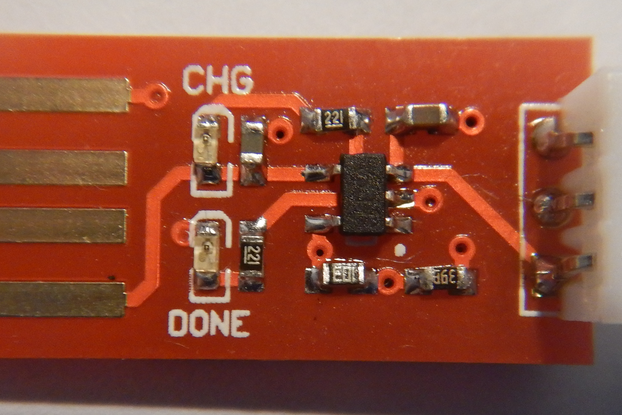 Nicely convenient cell voltage at 3.3V means you often don't need a regulator to power MCUs, sensors, and other modules. That lack of regulator means even less power wasted on what is already quite an efficient cell arrangement. 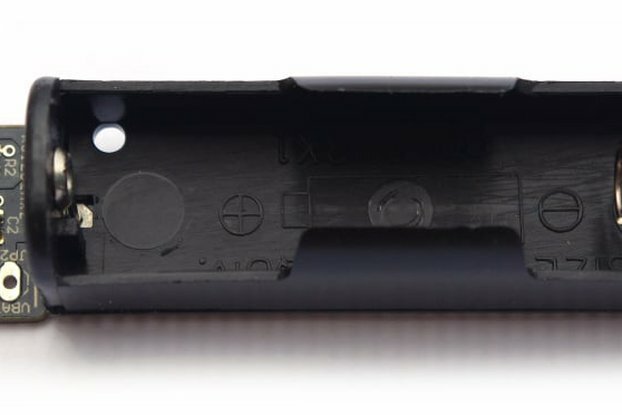 The 4-pin breakout header gives the cell terminals and also the D+/D- signal lines from the micro USB port, making this a convenient module to add USB support to your product that has an easy recharge ability there too.